I’ve forgotten how nice spring mattresses are! We currently have a memory foam one but have you ever seen a hybrid spring mattress come in a box and that expands when it unfolds? 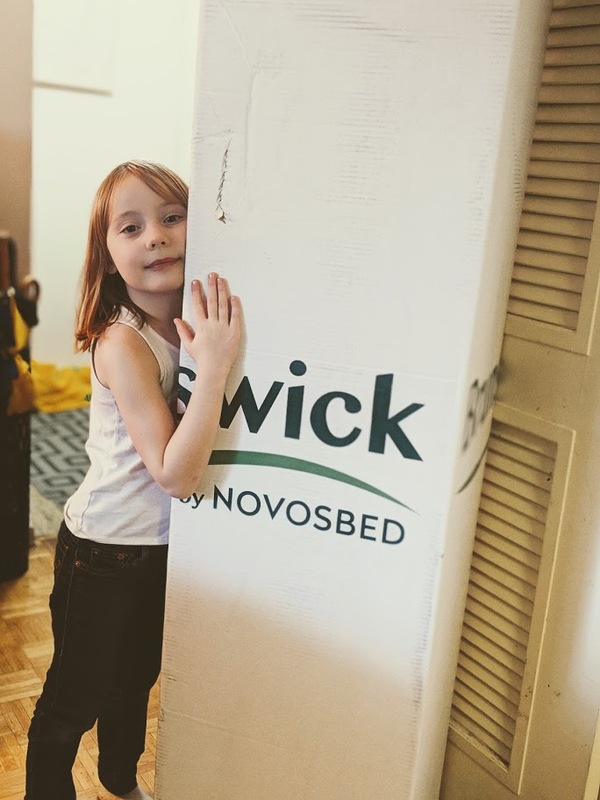 New to Canada and one that is a fantastic alternative to beds in a box is the Brunswick Mattress from Novosbed. 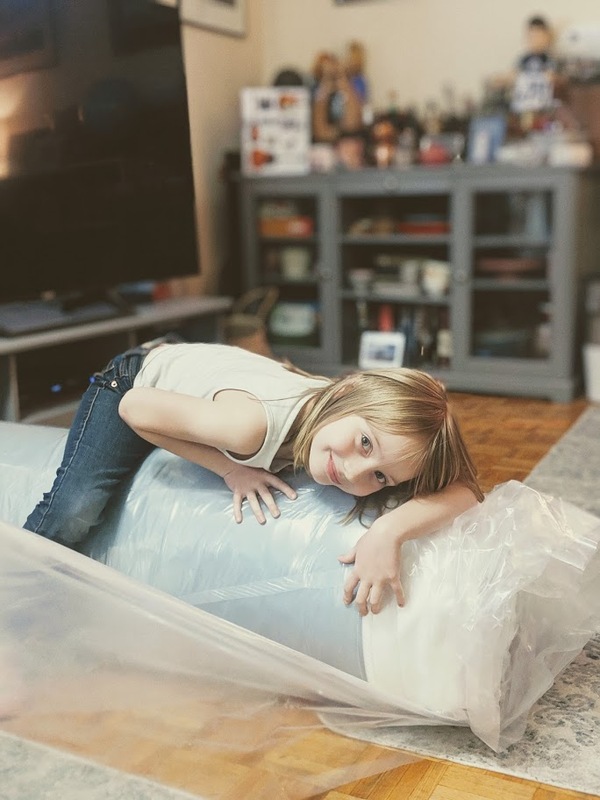 It’s a hybrid innerspring mattress and I think I want to upgrade my king size mattress for one as I gifted this mattress to my sweet little pea. She needed a new mattress so we ordered a TwinXL($699). It was paramount and she’s been having the comfiest sleep ever since(it’s not too hard and not too soft) and I even get up in the middle of the night to sleep with her because 1) I love her 2) I love her mattress 3) I want to get the best nights sleep possible. Brunswick is exclusively sold online, made to order, and arrives compressed in a box at customers’ doors about a week after ordering. You can make informed decisions by browsing detailed photos as well as verified customer reviews, and by experiencing a 120-night in-home trial with free returns. When you get your Brunswick mattress I think you’ll notice that your laying on your mattress and not sinking into your mattress. Brunswick’s Euro-top is made up of three layers of foam totally 2.75 inches. They use 3 layers and the different foam types and densities customize the contouring feel of the mattress by balancing sinkage, support, and cushioning. Are you ready for your best nights sleep yet? Just writing that I want to go hang out on my twins bed. Off-Gassing: One of my concerns was the off-gassing. What a relief to find out that the mattress foams are certified by the CertiPUR-US® program. This means they do not contain any harmful chemicals or heavy metals, nor do they impact air quality. Comfort: A large part of Brunswick’s “Classic Comfort” feel comes from its 8-inch layer of steel innersprings. The springs give the bed its bouncy feel and greater overall level of support. It’s also the optimal sleep surface for larger(such as myself) and overweight individuals (up to 250 lbs per person). What I have noticed when I sleep on the TwinXL mattress is I wake up with no numbness in my hands and harm and no soreness on the pressure points on my hips. In other sense, I am not waking up sore which is making me think about my own mattress. My daughter has also claimed that she feels she is getting restful sleep. So to go back on my arms and hips, the Brunswick mattress has 3 zones. The majority of body weight rests around the hips, and this lies on the central third of the bed. If all of the springs in the mattress were identical, your hips would sink deeper into the mattress than your head, legs, or shoulders. Pretty soon this would cause a divot in the middle of the bed while also pulling your spine out of alignment and causing gradual stress on the surrounding muscles and joints. To remedy this, Brunswick uses thicker, multi-tempered, steel coils in the central third of the bed. Thicker coils take more weight to compress, and these springs have been custom calibrated in order to promote proper spinal alignment for the vast majority of weight distributions. The springs in the other two-thirds of the mattress (one third at the head, the other third at the foot) are identical, which allows you to rotate the mattress and increase its longevity. Hemp! 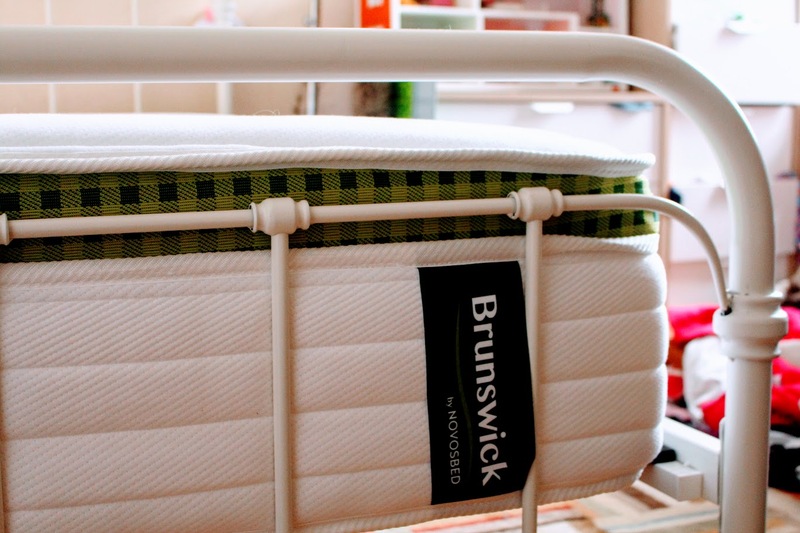 it’s eco-friendly: Brunswick is one of the only mattresses that uses hemp as a cover material. Hemp fibres are woven along with polyester and spandex to increase durability and add an eco-friendly element. Hemp has three times the tensile strength of cotton, making it immediately more durable and resilient. It’s a fast-growing crop that doesn’t require any chemical fertilizers or pesticides. It doesn’t require much water, it’s gentle on the soil, and it absorbs large volumes of carbon dioxide. Hemp fibre also has natural antimicrobial properties and is hypoallergenic. See our first unboxing and first Youtube video! Get $50 off your mattress and hey, if for some reason you aren’t happy with your mattress, Novosbed has you covered. When returns are requested, their customer care team arranges for the mattress to be picked up and donated to a local charity or community organization. Some regions either don’t have the social infrastructure or local restrictions prohibit the donation of used mattresses. In those cases, we have the mattress picked up by a recycling partner. Yes, every part of a spring mattress can be recycled! We are loving our new mattress, the comfort is really good, I have gotten a better sleep on her bed than my own(sigh!) and now everyone in our family wants one. 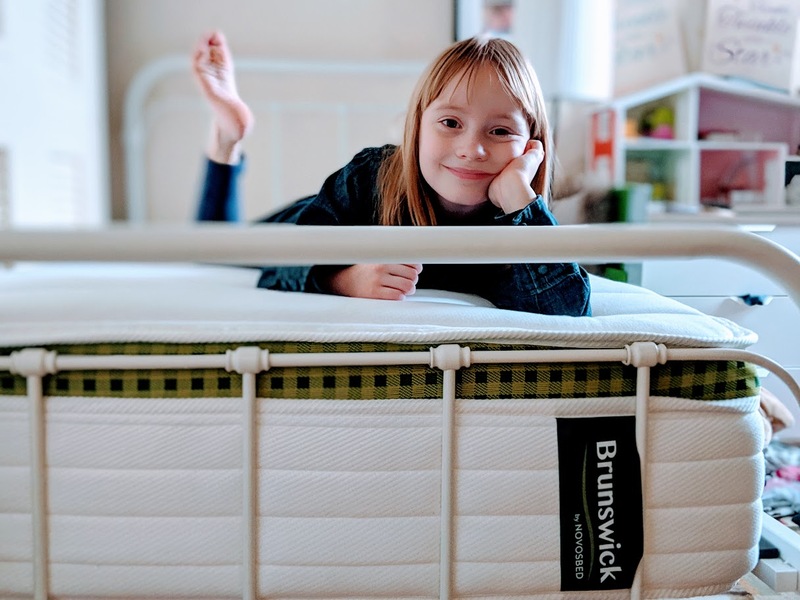 Made in Canada, eco-friendly, no harsh smells( it was there for a brief moment when we took the plastic off) and no off-gassing, we are very happy with the Brunswick mattress and I hope you try it as well! Disclosure: This post was in collaboration with Brunswick by Novosbed. In exchange for this post, I have received perks in the form of products and/or compensation. All opinions on this blog are always my own. If I was in the market for a new bed, I’d definitely try this one out! Now, this sounds like an absolutely amazing mattress. I love that it is eco-friendly, I don’t think that’s a feature I’ve seen in many before. To have a bed that doesn’t divet! It’s amazing what a new mattress can do for you! This one looks comfy and perfect for anyone in the family. I will definitely look into this mattress! My husband and I are in dire need of a new one and this sounds like a comfy, eco-friendly choice. It’s awesome what a simple thing as replacing a mattress can do wonders for your sleep. This looks and sounds like a super comfortable mattress. 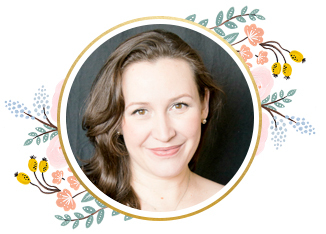 I have heard wonderful things about the Brunswick Mattress. I really like that they use hemp as a cover material, it seems to be an exceptionally durable mattress, and looks to be quite comfortable too. ~Oh this looks great! I love how compressed mattresses are these days, it used to be a nightmare getting one home from the store! That would be hard! I love the idea of ordering online and if anything, you can get taken care of if you don’t like it. Thanks so much for this in-depth review of the Brunswick mattress. We’re in the market and honestly, I didn’t know there were so many things to consider before making the purchase. You sure opened my eyes. That’s awesome that you found such a nice bed. Our mattress is so old, and I would love one of these. How cool that it arrived in the mail, that is very convenient. I need a new mattress for my bed but have been putting it off. My back is starting to hurt from the one we have that is getting quite old. Will have to check out this brand for sure! I wish the US would wake up to the value of hemp. It has so many uses and makes more ecological and economical sense than many of the products we’re using now. After navigating a king sized bed up our stairs, I will never order a mattress that doesn’t come in a box again! I have always wondered about boxed mattresses. I would love a night of comfortable sleep. I think we may be needing to upgrade our mattress soon. A good mattress is so important, not only in order to get a good night of sleep but also to support your back and avoid problems down the line. Love the eco friendly bits of this story. I have not heard of these mattresses before. Time to check them out. Both my teen daughters need new mattresses badly. There’s nothing jeft TO either girl’s mattress. Old and lacking any support at all. Awesome write-up, and I loved getting a glimpse of how big your girls are getting!